Designed exclusively to ease the setup and operation of Team Cleaning ®. 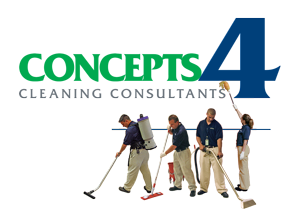 Concepts4’s mission is to educate, train, assist, and coach in the effective implementation and operation of High Performance Cleaning utilizing team specialists. Thus enabling our clients to create and sustain a healthy indoor environment. ©2017 Concepts4 Terms and conditions.